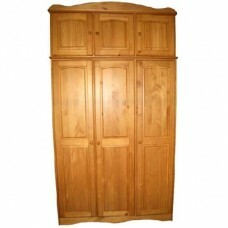 This sturdy 3 door wardrobe is made to a high specification from solid pine. As is shown each door has two panels and wooden handles. The hinges are constructed to a higher than normal standard as are the rest of the fittings. 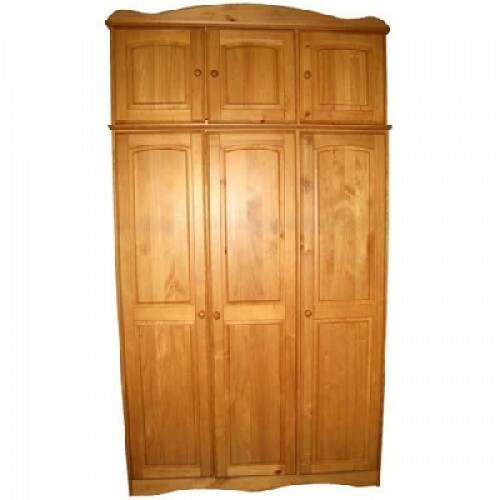 Please Note: The wardrobe shown has a three door top box. This model is three door robe only. Top box is avaiable separately.